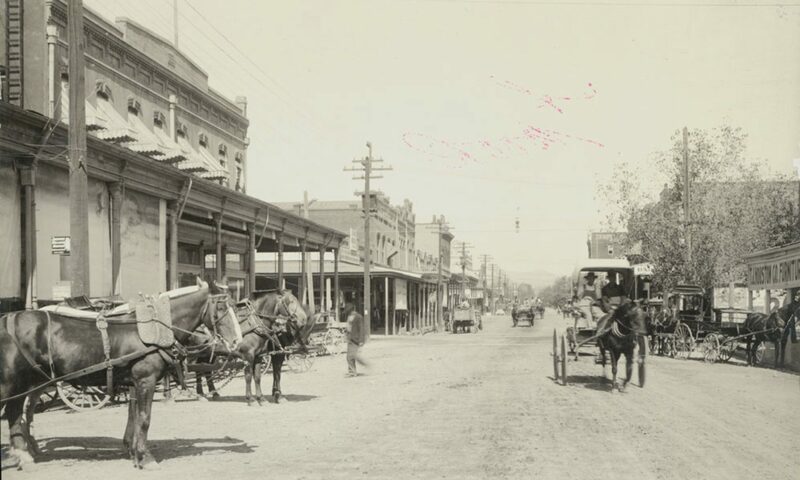 A southerly view of Redding’s red-light district after the fire of 1908, taken near the corner of Division & California Streets. Block 13, the area outlined in red, was removed from Redding’s fire limits in 1900 following a petition presented by Frank Chadwick. Within a day or two of the 1908 fire, the city board of trustees was talking about requiring the property owners to rebuild in brick [4. 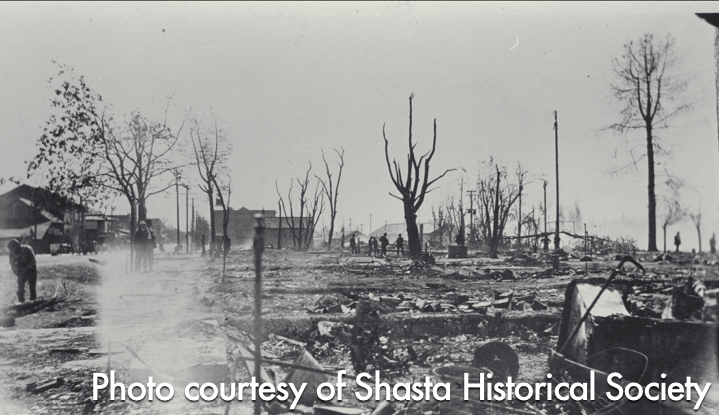 Searchlight, 25 September 1908] Insurance adjusters arrived in Redding on September 26, but the property owners could not clear their lots and start rebuilding until the adjusters’ work was done. 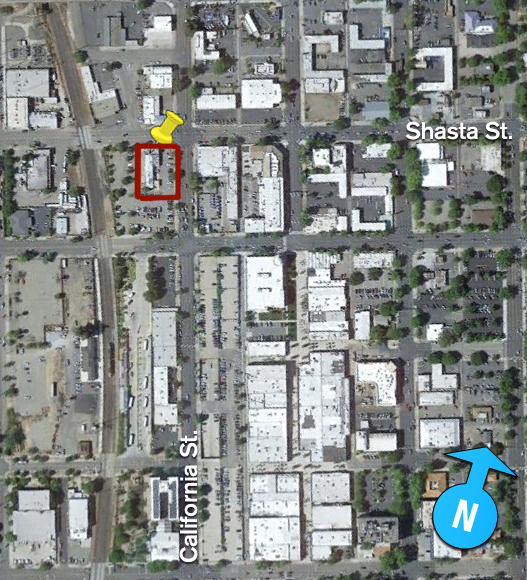 In the meantime, Chadwick and Freitas enclosed their lot with a “high board fence” and announced their intention to rebuild in brick [5. Searchlight, 26 September 1908] Holt & Gregg, the famous local brick manufacturers, began construction of a 90-foot brick building on the Chadwick and Freitas lot on October 1. [6. Courier-Free Press, 1 October 1908] Presumably construction of the two-story building occurred around the same time. Why are we calling it this building the Bell Rooms? Who were Chadwick & Freitas? Stay tuned to find out. Congratulations on your new site. Can’t wait to read the rest of this story and all the others you have waiting in the wings.